There are 144 banks in Luxembourg, of which more than 120 are branches and subsidiaries of foreign banks. The country’s financial sector is the largest contributor to the domestic economy. The combined assets of banks in Luxembourg are valued at around €760 billion. It is also the world’s second biggest investment fund center after the United StatesTop Banks in the USAAccording to the US Federal Deposit Insurance Corporation, there were 6,799 FDIC-insured commercial banks in the USA as of February 2014. The country's central bank is the Federal Reserve Bank, which came into existence after the passage of the Federal Reserve Act in 1913. German banking giant Deutsche Bank set up a subsidiary in Luxembourg in the summer of 1970, its first foreign subsidiary in the post-World War II era. Deutsche Bank Luxembourg was one of the first financial institutions that were established in the country. The bank provides private wealth management services, international loans and agency services, corporate and investment banking services, and retail investment services. CACEIS is a French bank specializing in asset management. It is part of Credit Agricole Group, a French banking cooperative consisting of 39 regional banks. CACEIS Luxembourg was incorporated in 2003 and is one of the largest banks in Luxembourg. The bank offers a variety of services, including deposits and custody related services, fund administration, transfer agency, and institutional and corporate banking services. The Banque et Caisse d’Épargne de l’État (BCEE) is the largest national financial institution in Luxembourg. Known as Spuerkeess in Luxembourgish, it was founded in 1856 and is wholly owned by the state of Luxembourg. The bank offers a wide array of commercial and corporate banking services, including asset management, project financing, and specialized private banking. BCEE’s long term credit rating as per Moody’s is Aa2 (high grade). Societe Generale Bank and Trust is the oldest of the foreign banks in Luxembourg. It was originally set up as a branch of Société Générale Alsacienne de Banque (SOGENAL). Formerly known as Luxbanque Société Luxembourgeoise de Banque S.A., it changed its name to Société Générale Bank & Trust S.A. in 1995. The bank provides a wide variety of services, including wealth management, securities trading and management, and provision of corporate financing services, both in the European Union and internationally. It also offers specialized private banking services. Banque Générale du Luxembourg (BGL) was founded in 1919 as a regional bank. In 2009, BGL became a member of the BNP Paribas Group. The bank offers products and services related to retail banking, personal wealth management, and corporate and institutional investment banking and management. BGL BNP Paribas’ long term credit rating as per Moody’s is A1 (upper medium grade). UniCredit Bank was one of the first foreign banks in Luxembourg. UniCredit Luxembourg is part of UniCredit Group, which was created from the merger of banking institutions from Italy, Germany, and Austria, in addition to acquisitions in Central and Eastern Europe. Today, UniCredit Group operates several branches and subsidiaries across 50 countries. UniCredit Luxembourg provides wealth management and corporate banking products and services and owns a long-term credit rating of A3 (upper medium grade) as per Moody’s. Banque Internationale à Luxembourg (BIL) was established in 1856 and is the country’s oldest private banking group. BIL offers retail, private, and corporate banking services. BIL’s long-term credit rating as per Moody’s is A3 (upper medium grade). In 1960, Credit Europeen was set up in Luxembourg as part of ING Group. 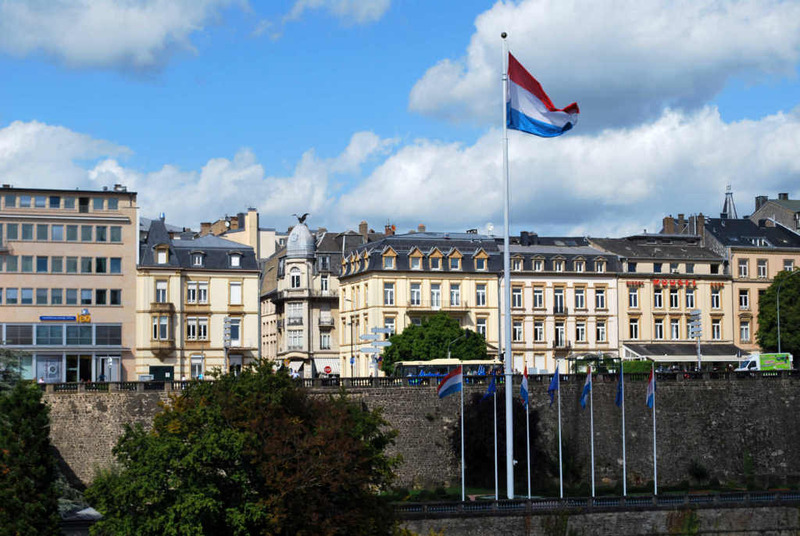 Over the next 40 years, it grew into one of the largest banks in Luxembourg. In 1987, NMB Bank (also of the ING Group) was founded. After the merger of NMB Bank and Nationale Nederlanden, the combined entity became known as ING Bank Luxembourg. In 2003, Credit Europeen and ING Bank Luxembourg merged into ING Luxembourg. The bank provides retail, private banking, and corporate banking products and services. NORD/LB Luxembourg was first set up as Berenberg Bank International S.A. in Luxembourg in 1972. After the merger of NORD/LB Luxembourg with its subsidiary company NORD/LB Covered Finance Bank in 2015, the merged bank started operating under the name NORD/LB Luxembourg Covered Bond Bank. The bank is a member of Norddeutsche Landesbank (Germany). Banque de Luxembourg was established in Luxembourg in the 1920s. It is one of the country’s largest private banks and specializes in providing asset management services for individuals, families, and businesses. The bank was created following the merger between Credit Industreil d’Alsace et de Lorraine and Banque Mathieu Freres. To break into investment bankingJobsBrowse job descriptions: requirements and skills for job postings in investment banking, equity research, treasury, FP&A, corporate finance, accounting and other areas of finance. These job descriptions have been compiled by taking the most common lists of skills, requirement, education, experience and other there are several important things to focus on. These include networking, resumeInvestment Banking ResumeInvestment banking resume template. Learn how to write an investment banking resume (Analyst or Associate) with CFI's free guide and resume template. The IB resume is unique. It’s important to tailor your resume to the industry standard to avoid being immediately deleted, experience, and financial modeling skillsFinancial Modeling SkillsLearn what the 10 most important financial modeling skills are and what's required to be good at financial modeling in Excel. he most important skills are 1 accounting, 2 Excel, 3 linking the financial statements, 4 forecasting, 5 problem-solving, 6 attention to detail, 7 simplicity, 8 esthetics, 9 presentations, 10. To learn more, explore our interactive career map…. For banking careers, you will have a significant edge over the competition with our financial modeling courses. Top banks in AustraliaTop Australian BanksThis guide will outline the top 10 banks in Australia. The Australian banking system plays a major role in the country’s financial system. Apart from traditional banking services, banks also provide business banking, trading in financial markets, stockbroking, insurance, and funds management.